Carpe Diem Today and Save! Save $200 per person for any 2014 Peru trip booked in April! 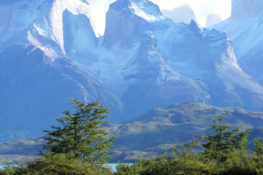 * Have you or your family been considering an incredible journey offering exciting adventure and life-long memories? Nothing brings us closer to our loved ones or ourselves than travel, and U.S. summer and fall are great times to get away enjoying mild temperatures and no rains while visiting Machu Picchu, remote Andean villages, and colonial Cusco. Mention discount code KTJ010 when contacting Knowmad to receive $200 off any Peru trip booked before April 30th. The time for adventure is now! *Terms and conditions apply. See full terms and conditions below. Must supply discount code KTJ010 when first contacting Knowmad. Discount cannot be applied in conjunction with any other discount. Trip must depart and end in calendar 2014. Trip must have a per person value of more than $2,000 USD. Trip must be booked with full confirmation (registration and deposit) received by Knowmad prior to April 30, 2014. Offer valid only for trips including travel in Peru. Offer valid for new bookings only and may not be applied to an existing booking. Bookings by travel agents are not eligible for this offer. Offer valid for up to 5 travelers and capped at $1,000 worth of savings.